Last night it rained all night and then at 7.30 am the power went out for a few seconds, I was glad not to be in the European style lift (re tiny) at the time. This made checking out a lot longer as the hotels systems took along time to come back on. I was flying today from the domestic airport, which despite its name still has some international flights. This smaller airport is located next to the ocean and the wind and rain was causing some of that ocean onto the roads. Watching the water splash in the air as some planes landed on the small runway was also an experience, luckily I’m not a nervous flyer, at least not anymore. The flight took about 3.5 hours with no on board entertainment my best friend was my iPhone games, a very handy tool in situations like this. My iPad was used while delayed at the airport as well, makes time go by much easier when delayed. Just before landing I had the interesting experience of looking out one side of the plane and seeing the mountains at our level, they seems so close you would think we could hit them so easily. We were still very high, at this point I realise Ushuaia is likely surrounded by big mountains at least on one side. On landing the passengers started clapping, probably for not hitting a mountain on the way down. My scheduled airport pickup didn’t show which isn’t a great start but the taxi only cost 40 pesos. On check in the hotel changed my for a share room to a single, not sure why yet as I didn’t pay for the single supplement for this very expensive tour. Later that night I meant my fellow travellers all two of them, Ben Noonan (Australia) and Kurt Lybaert (Belgium). Can’t believe there is only three of us, at least for the first 11 days. When the Antarctica part commences apparently another 8 people will join not that it will be obvious with 140 plus on the expedition boat. I think the hiking in the first part might have scared a few people away. Hopefully I get on well with them both. After the briefing I walked town and saw the awesome mountain range that obviously protects this inlet from the worst storms. The temperature for this are is going to be around 8 to 10 degrees, hopefully I get lucky with the rain while on this full day hikes starting in 2 days. South America & Antarctica Photos. 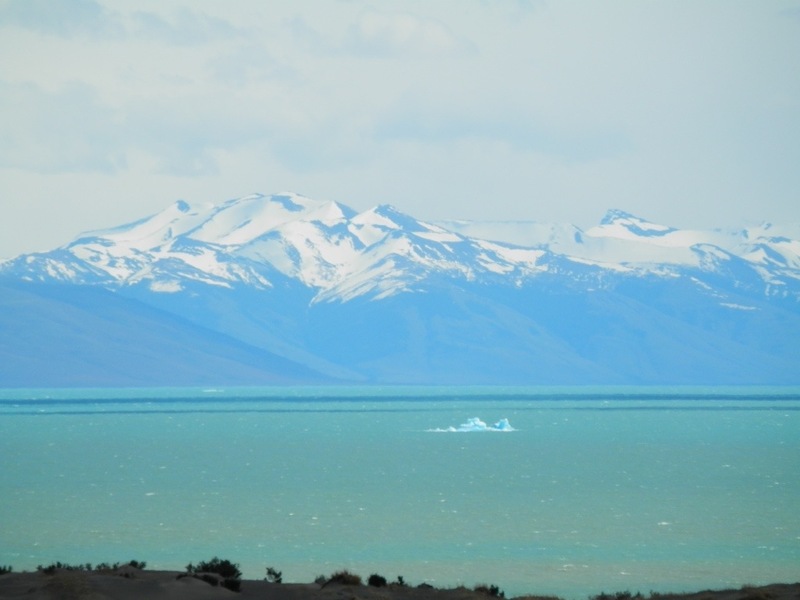 This entry was posted in World Trip 2012 and tagged Argentina, Patagonia. Bookmark the permalink.